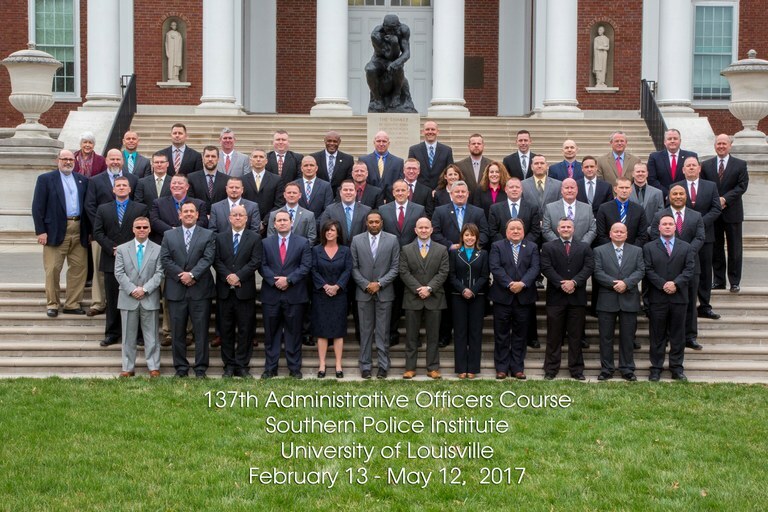 / Congratulations to the Graduates of the 137th Administrative Officers Course! Congratulations to the members of the 137th Class of the Administrative Officers Course! 47 Graduates representing 39 different agencies from 18 states received their diplomas on May 11, 2017. Congratulations to you all! We can't wait to see where you go from here! The B. Edward Campbell Service Award is given by the Southern Police Institute. This award is for "meritorious service to fellow Law Enforcement Officers of the 134th Administrative Officers Course by Demostrating Leadership and Commitment to the Shared Goals and Objectives of the Southern Police Institute."